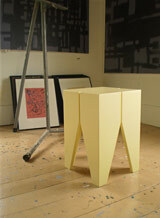 A striking table with tapered, sculpted legs. 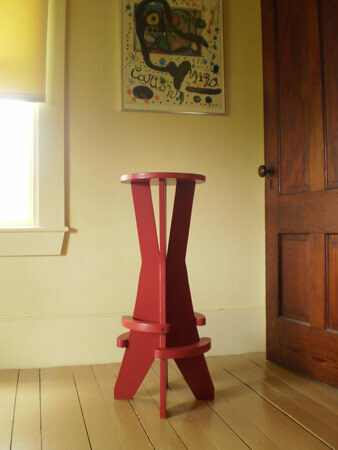 Table top and curved support brackets are accented by functional decorative bronze screws. made with solid poplar and pictured in Raspberry Truffle. 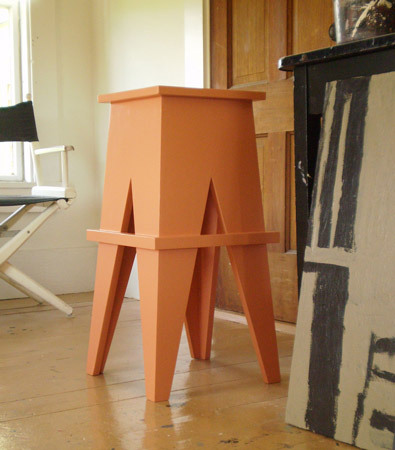 A rustic elegant stool - perfect for the kitchen or can double as an occasional table. made with solid poplar and pictured in Pumpkin Patch. A versatile and handy bench. 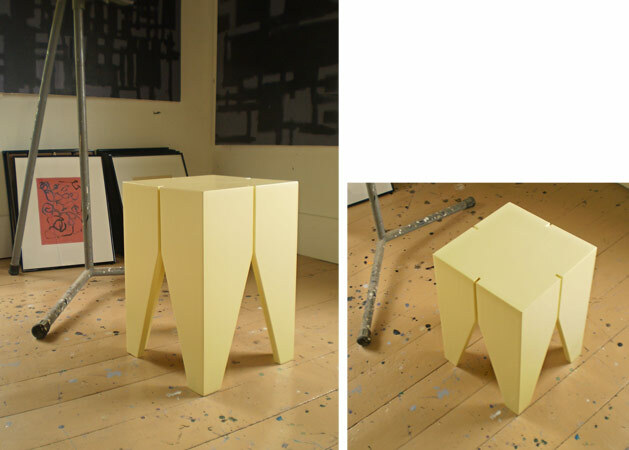 made with solid poplar and pictured in Hawthorne Yellow. 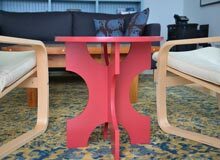 Crisscross constructed legs with cut-outs create a striking silhouette - it is a smaller version of our ample Mill Cove table. 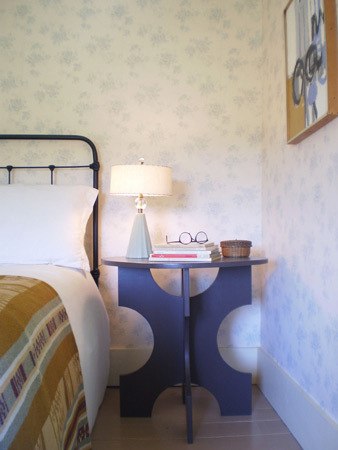 The low round table top makes a perfect side table for mid century furniture. Made with solid poplar and pictured in Raspberry Truffle. 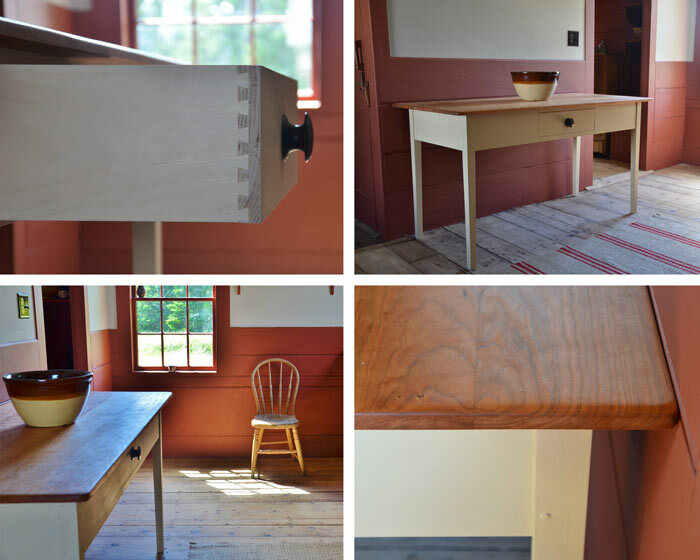 Based on many traditional farmhouse kitchen work tables we’ve seen, our version, dubbed “The Narrows” features mortise and tenon joinery with traditional pegs, as well as tapered legs. Its natural cherry table top, finished with 3 coats of hand rubbed Danish oil, has been finely sanded and contoured to simulate years of constant use. 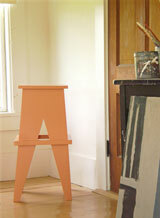 Legs and skirt are painted with 2 coats of "Old-Fashioned" milk paint (color pictured is Buttermilk). A final coat of flat waterborne poly protects but preserves the unique look and feel of a milk paint finish. The ample dovetailed drawer sports a unique finishing touch; an antique hand turned mahogany knob. 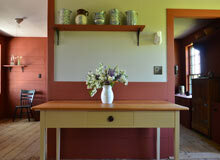 Click here to choose your milk paint color or choose from our Benjamin Moore colors. 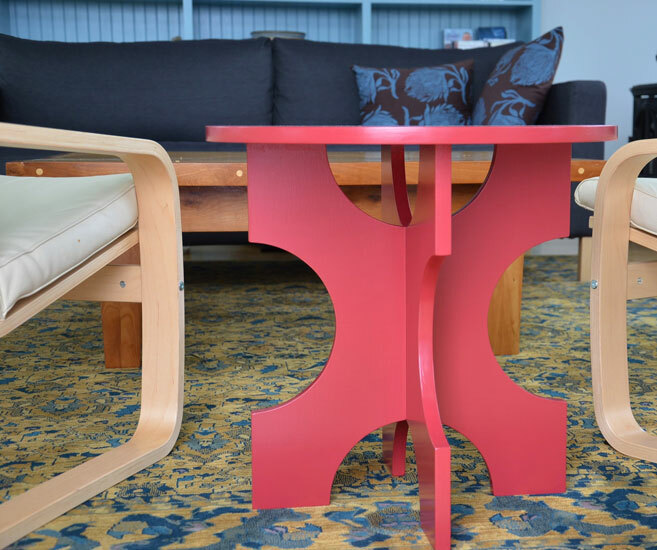 A custom table can be built to fit your needs whether it be a dining room table or side table. This piece is for local customers only. Please contact us to order or for pricing of a custom piece.